Isnt that phrase so true? When you enjoy whatever you do it doesnt seem tedious anymore. 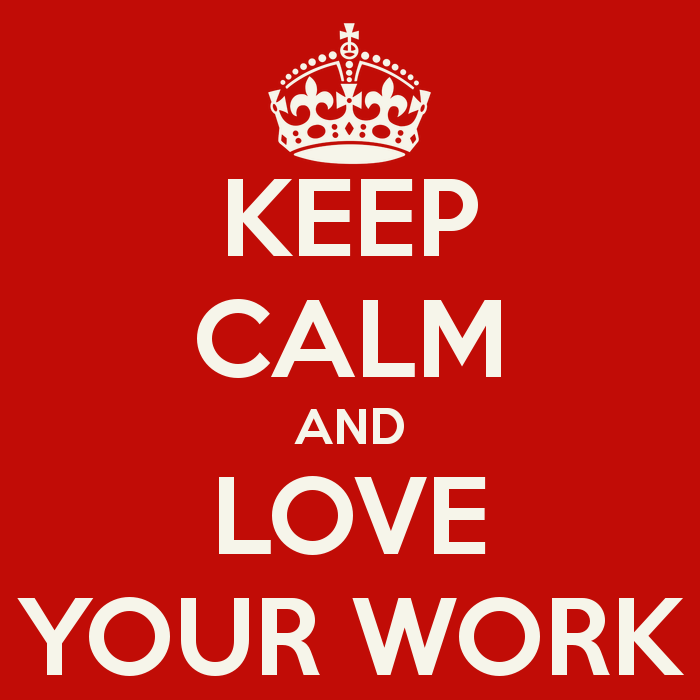 I have heard so many stories of so many people who are stressed with their work, majorly cos it is “work”! Do Artists get stressed while painting/sketching or creating whatever it is that they excel in? Do writers get stressed when they’re writing, be it poems or stories or anything for that matter? They may – if they have deadlines to meet, if their muse is lost but they’ve set a date and committed to their next piece! But if you leave them at it, they’re one of the happiest people on earth! why? because they love whatever they do! So do I!! I have of course cribbed about Mondays and work but more often than not its not the work per se that has stressed me its probably the deadlines and the people I’m working with. I love my job, I really do! I am one of those fortunate people who came to loving what they do by accident and not as a choice! Did I know I was going to be a business analyst when I was studying school or college – No!! Not one bit, I am sure people have dreams of becoming so n so – I did too, I wanted to be a dancer and then an actress and some where down the line, life brought me into IT as a Business Analyst! And I am really fortunate for that because I love my role! It happened to me – initially I struggled ofcourse I did not do my MBA which many people still look down upon when they hire me, but I have always had my principles straight – Do your work and let the work speak for you! Which is what I do (even today), I struggle, I learn, I made real huge mistakes too, even embarassed myself but I feel accomplished! I still have a lot more to learn and maybe I do a (what others call) decent job, but what matters to me is that I am passionate about what I do. I can talk at length about my projects and my experiences in dealing with varied clients and management and when I do people often feel I am a strong candidate – why? Simple, because I just love what I do. I consider myself blessed because I work with a lot of wonderful people, i have had my share of difficult to work people but I am very fortunate to always have a strong support system (bosses, team members, professional/personal connections) who have always helped me across the sea of struggle. I have been blessed with wonderful mentors and I learn a lot from my peers, seniors and anyone I meet in my career life. So today I take this opportunity to thank the Universe for a wonderful and bright career! My dear Universe, you have indeed blessed me with an awesome role, you always ensure I become passionate about it and continue to grow in my field. Thank you Dear Universe for taking care of me when I struggle, appreciating me when I excel and let me savor the job (I just happened to come by to but) that you choose for me personally!! Thank you for this glorious career and wonderful professional experiences, my Universe! Thank you Thank you Thank you!! !